A great choice in Saskatoon hotels near the University of Saskatchewan! Our pet-friendly hotel is also near the Sasktel Centre, Remai Art Gallery, Persephone Theatre and TCU Place. Book your flight now and arrive at the Saskatoon John G. Diefenbaker International Airport, just a short ride away. 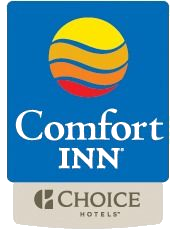 The Comfort Inn Saskatoon provides convenience for travelers because of its location and affordability. Enjoy dining at your choice of over 30 Saskatoon restaurants in the area. Don't forget about the annual Saskatoon Exhibition in August! All guest rooms at the Comfort Inn® Saskatoon feature a 32" LCD flat screen television and free wireless high speed internet access to keep you entertained and connected. In addition, all rooms feature pillow top beds with luxurious Truly Yours® bedding, updated bathrooms with modern tile and granite vanities. Our large parking lot offers added convenience for bus and RV parking. We are a family­-friendly hotel - where kids stay free. This is an excellent place to stay if you are traveling for pleasure or business. The hotel staff will ensure your stay is an enjoyable one. Save both time and money when staying with us! There are so many things to see, do and enjoy in this area that you and your family will never experience a dull moment.